Corporate Citizenship - Bradigan's Inc.
At Bradigan’s Incorporated, philanthropy is an integral part of our business and a sound investment in the communities where we live and work. We believe that promoting and contributing to the health and vitality of the communities in which we have the privilege to operate is essential to our success. Bradigan’s Incorporated is a supporter of many non-profit organizations that subscribe to the mission of improving the health, education and human service needs in the communities. What we don’t give in money, we give in time. Our board of directors and employees serve or have served on a wide variety of local charitable giving boards and committees that range from the Armstrong County Chamber of Commerce, the YMCA, the Kittanning Rotary Club, the Kittanning Lions Club and the Armstrong County Memorial Hospital, to name a few. People are the heart and soul of Bradigan’s. They will be treated with dignity at all times. Customers keep us in business. We will treat customers with the utmost respect and provide excellent service. Suppliers share our business as partners. Our mutual success is interdependent. We will always strive to continuously improve our communications and relationships with them. Bradigan’s is in business to safely, economically and efficiently provide energy resources in the form of products and services to our customers. Know your customers and exceed their expectations. The 2018 Gasoline Giveaway Winners have been announced. Congratulations to Maureen Stankay the $250.00 winner, Dianna Troutman the $150.00 winner, and James Held the $100.00 winner. Pictured with the winners are Paul and Andy Bradigan and Jane Hess the President of the Armstrong County United Way board. Bradigan’s continues to support the United Way by donating annually (3) of its KardGard gasoline cards which can be used at any of the (6) Bradigan’s KardGard refueling locations. 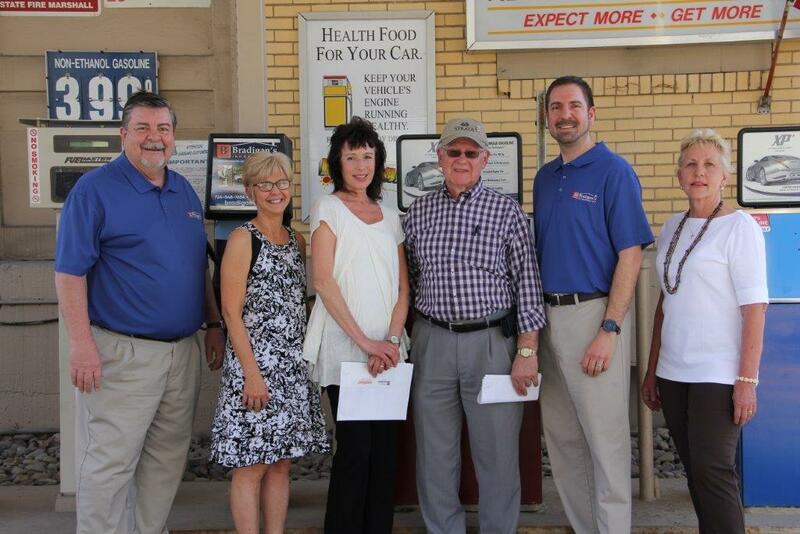 We are proud to partner with the United Way as a way for us to give back to Armstrong County. Molly Atwood was assisted by members of the Kittanning Rotary Club with the “Blessings in a Backpack” campaign in which various supplies are delivered to local students who meet the qualifications in the Armstrong School District. The United Way of Armstrong County creates community-based and community-led solutions that strengthen the cornerstones for a good quality of life: education, financial stability and health. These cards can be used at any of the 6 Bradigan’s Refueling Club locations. We are proud to partner with the United Way to give back to Armstrong County. Thank you to the United Way and Congratulations to the 2017 winners. The Westmoreland- Armstrong Chapter of the American Red Cross honored a number of Armstrong County All-Stars. Our own Cliff Fennell was honored with a Good Samaritan Award after putting himself in danger in an incident that occurred at the Shop-n-Save gas pumps on July 7, 2011. Cliff unselfishly came to the aid of a woman that had caused a fire at the gas pumps while he was filling the underground tanks with fuel. 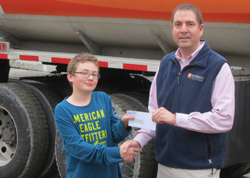 Andy Bradigan, Operations manager from Bradigan’s, Inc. presents 12-year old Colin Kline with a check. Colin voluntarily raised money for fire victims during the 2014 Christmas season. Bradigan’s, Inc. helped Colin raise even more money for his efforts through its company Christmas Party and donation match. A week ago, 12-year old Colin Kline was worried that his friend wouldn’t have any gifts for Christmas. December 18, Colin’s friend Zander and his family were victims of a house fire on North Water Street in Kittanning that destroyed most of their belongings and Christmas gifts. Colin’s father Earl, 2nd Assistant Chief at Hose Co. #1 and employee at Bradigan’s Incorporated was so proud of his son when he took one of his firefighter boots on his bus to collect donations for the family in need. 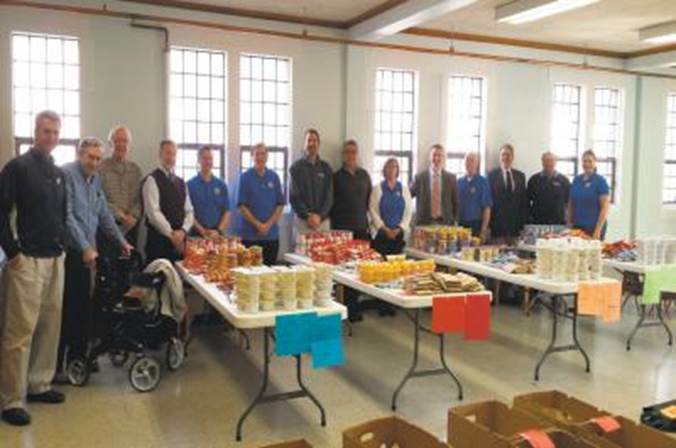 Colin’s goodwill spread to Bradigan’s Inc. Operations Manager Andy Bradigan and other employees. The act of kindness was announced at Bradigan’s annual Christmas party and $230.00 was collected, but the giving didn’t stop there. Andy and Paul announced that the company would match that amount making the total $460.00. Colin collected about $50.00 on the bus meaning the Reher family had more than $500.00 to celebrate Christmas with. 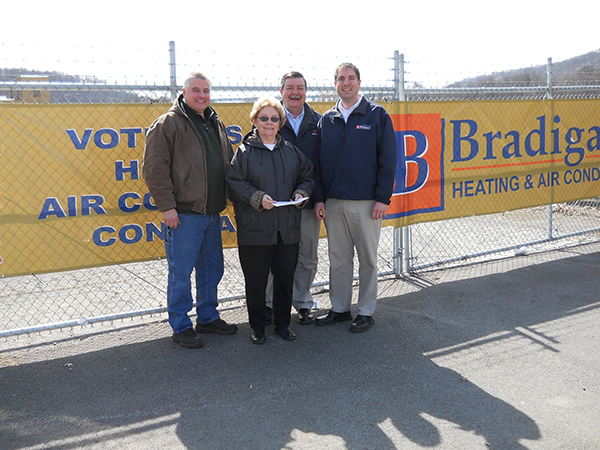 Bradigan’s, through its KardGard Refueling Club presented three Gas Cards totaling $750.00 to the winners of the 2012 United Way Fund Raising Campaign. Shown in the photo (from left to right) Andy Bradigan/Bradigan’s Inc., Tom Bradigan/Bradigan’s Inc., Jane Hess Pres. of the Armstrong Co. United Way, Sweepstakes Winners Christian Pierce & Greg Smith, Emily Boarts Executive Director of the Armstrong Co. United Way and Paul Bradigan/Bradigan’s Inc. Missing from the photo is Sweepstake Winner Nancy Gallagher. Congratulations to all the 2012 Winners!! 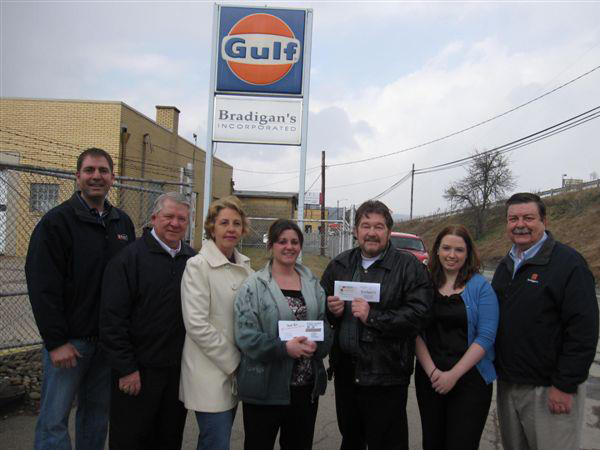 Bradigan’s annually donates three “Gas Cards” to the United Way or Armstrong County as part of their Gasoline Giveaway Sweepstakes. These cards can be used at any of the Bradigan’s Kardgard fueling locations. First place=$250.00 / Second place=$150.00 / Third place=$100.00. Shown in the photo (left to right) are Doug Brown –2nd Place Winner –Barb Burton of the United Way –Paul Bradigan & Andy Bradigan of Bradigan’s Incorporated. Congratulations to all the 2011 winners!! !